What Our Customers and Friends Have to Say! I would... call them a must for fashion-minded businessmen... I would make it number one on the midtown shopping itinerary.  I have been going to LS Mens Clothing for over 25 years, and have purchased a great number of suits, and jackets (including formal wear). I continue to be impressed by the level of service that Izzy and the others provide. 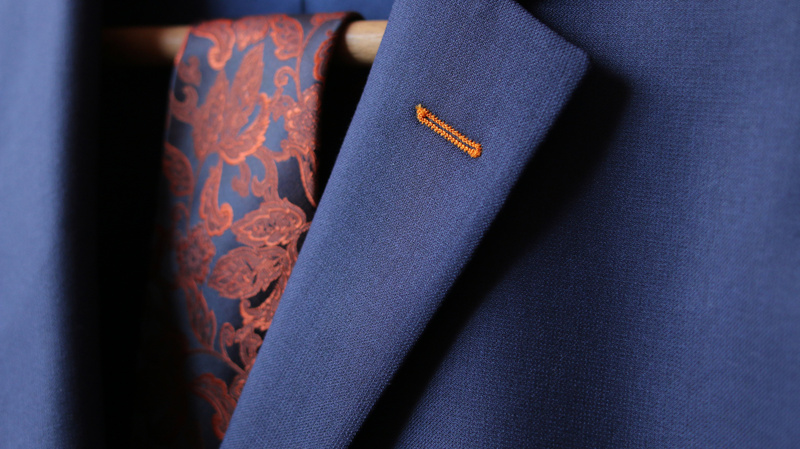 The suits and jackets are beautifully made and can last for 10 years with proper care. I have also purchased many shirts, and these also show excellent workmanship. Pricing is straightforward, uncomplicated by package deals and come-ons, and a fair bargain given the quality of the work. Deliveries are consistently on-time. For anyone who cares about dressing well for career or social, without being flashy about it, LS is indispensable, the type of business that makes New York unique. I have referred many people to LS, and happily continue to do so." "I'm thoroughly impressed with this shop. I've been a customer for over 5 years now and have to acknowledge that the service and quality of their product only gets better with time. Its the constant attention to detail, innovative sartorial suggestions (colored thread in functioning button holes, slanted ticket jacket pockets, etc.) and continuing focus on the perfect fit that I find extremely refreshing. Izzy is the tailor you seek out on these websites. You search for the best and one that offers the most value. He is it. He is not a salesman by any means. In fact, I've seen situations where he's recommended to new customers that his shop might not be their answer. He's candid about everything, and isn't afraid to show tepid disdain for your own tastes and preferences if he disagrees with them. At the end of the day, he's usually correct and you'll ultimately be better positioned to simply accept his ideas which usually result in a better finished product. 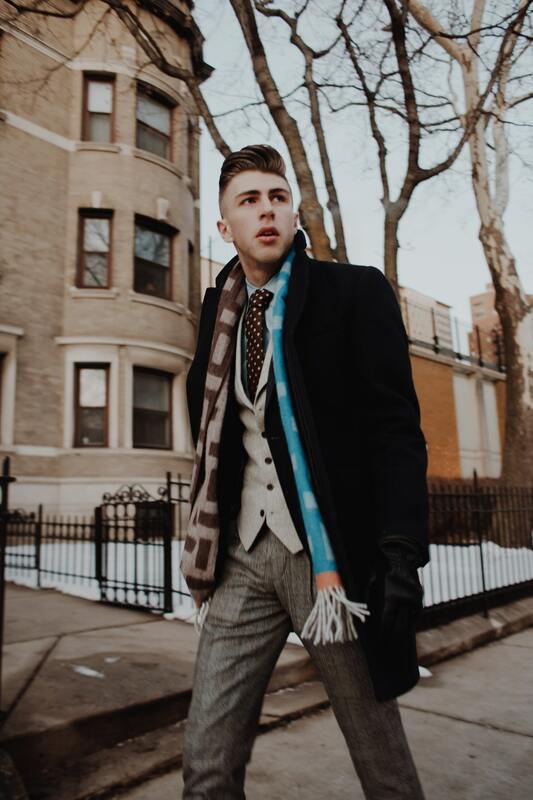 Suits - I've purchased everything from suits and jackets made from materials sent by Tip Top (LS gets high quality ends), who occasionally offer some beautiful cashmeres, Golden Bale cloth, etc., to various 140 and 160's Hickey Freeman selections. They also have a vast selection of Zegna materials which, while they are a little pricier than the others, really result in a well made suit. I don't believe Izzy profits at all from sale of the materials and he relies strictly on the make of the suit to maintain his business. Shirts - I'm not a fan of the Y'Apre shirts but since that seems to be the gold standard I'd be hard pressed not to mention it along with LS' vast selection of Y'Apre choices. I prefer the Gambert custom shirts. I initially struggled with fit, so I gave Izzy a shirt that I purchased years ago from another tailor. He asked his vendor to replicate the fit, purchased a sample of my behalf and gave it to me at no charge. Tailoring - One of their tailors recently retired but they have a very deep bench. Izzy oversees all of their suggested alterations and chalk markings and gives final approval on all changes (with the customer's consent naturally). When I originally became a customer of LS a few years ago, I once had a suit altered 7 times before being satisfied with the final product. Izzy was more than happy to continue working on it until it was right and until I was happy. Since my office is only a few blocks away from their shop, I have asked LS to help me get stains out of clothes before a meeting, fix tears in my shirt/suit in a matter of minutes, etc. and they have also accommodated me. If you're interested in a place that serves beverages, has fast talking, young salesmen offering various suit/shirt package deals this isn't the place for you. If you're interested in a tailor that brings the closest thing to bespoke you can find with old school service, go to LS. show more Michael F.
1) LS claim to fame, for the Bespoke buyer, is made-to-measure, name brand American made suits and sport jackets, at a sharply discounted price. 2) For under $1,000,I get a 150s level fabric suit, from a famous American maker, in my exact size and to my detail specifications. 3) Any cuff I want, working buttonholes, no complaints extensive alterations, and custom features: felt lined (no slip-out) cellphone pocket in size for my phone; one piece custom style waistband for my suspenders and on and on. 4) LS will also order the latest model of a Very famous high end suspenders (braces) at a unique discount price. 5) The manager, Mr. Z, is a pleasure and very very knowledgeable. 6) Also distributes Custom shirts from the same source used by Bergdorf, Brooks, Saks and Oxxford - at 40% to 50% less. L.S. is the source for many men who dress for success even before they've achieved it and for many others who have achieved it but still see no reason to fling money about needlessly. First off, I am 6'3'' 200 lbs. with a slim but muscular build. If I ever find something that fits me well I buy multiple and keep them for many years. Usually my pants are too baggy or if its slim/modern fit they make it half way down my calf. I just don't have a body that normal clothes fit. Luckily I don't have to wear suits too often. My suit history consists of buying a suit, it looking absolutely ridiculous as if I should be 300lbs and then me getting it tailored. It then looks slightly ridiculous so it gets tailored again (literally the tailor tells me this is it, he can't do anymore) until its passable. Even then, after hundreds of dollars of tailoring, it just doesn't fit quite right. Finally, upon a recommendation from a coworker, I visited L/S Men's Clothing. We (my wife and I) made an appointment for a Sunday afternoon with Izzy, we came from CT. As soon as I met Izzy he gave me an "ohhhh" and explained that my body type, specifically my shoulders and wide back to slim 32.5" waist made custom clothing a necessity. But Izzy wasn't phased and said he's seen many guys like me and that he'd take care of it. He had us decide on a color and material along with all the other trimmings and details. He measured me up quickly and painlessly, had me try on a few things and his measurements were done.The difficulty was that I had a limited timeline and wanted the suit for a summer wedding in Newport, RI. Izzy went out of his way to accommodate and arranged to have it shipped directly to the house we were renting on the day of the wedding. I was suspect that the suit would fit perfectly. I was jaded by my previous off the rack experiences knowing that multiple alterations were always needed. Not so with L/S! The suit arrived just as he told it would, fit perfectly and looked great (medium grey). I also got some custom shirts that fit beautifully. I will absolutely be returning to Izzy to get multiple suits, shirts and perhaps some work pants as well. I will never buy a suit off the rack again, ever. I couldn't be happier with Izzy and L/S Men's Clothing. The product is excellent, the fit is tremendous, and the price is reasonable. I would highly recommend L/S Men's Clothing to anyone looking for good looking, custom suit, at a good price, especially if you are an uncommon body type. show more Michael F.
Here is another one of the best treasures New York City has to offer the well-dressed gentleman. Great spot to get custom suits. Izzy is an old-school master tailor who does a great job. The entire experience takes a little getting used to. You have to be buzzed up to the third floor of a basically unmarked building... so it's not the same experience as shopping at Saks. However, once inside, you'll see suits that are higher quality than Saks for whatever price point you want to spend. Had a tux made here for my wedding and got several compliments, it came out wonderfully. Went back for some suits and bonus, my measurements were on file, so just pick the fabric and specs and boom, you're good to go. 3-4 week turn around and you've got a custom suit. Izzy has literally hundreds of fabric swatches from half a dozen mills so you'll find something you love. Really high quality stuff here that won't break the bank. Think Suit Supply but with somebody who actually knows what they're doing. Highly recommend this place. show more Greg W.
I have enjoyed outstanding tailoring and outstanding value from Mr. Izzy and LS for more than 25 years (and my father enjoyed their goods and services before that). 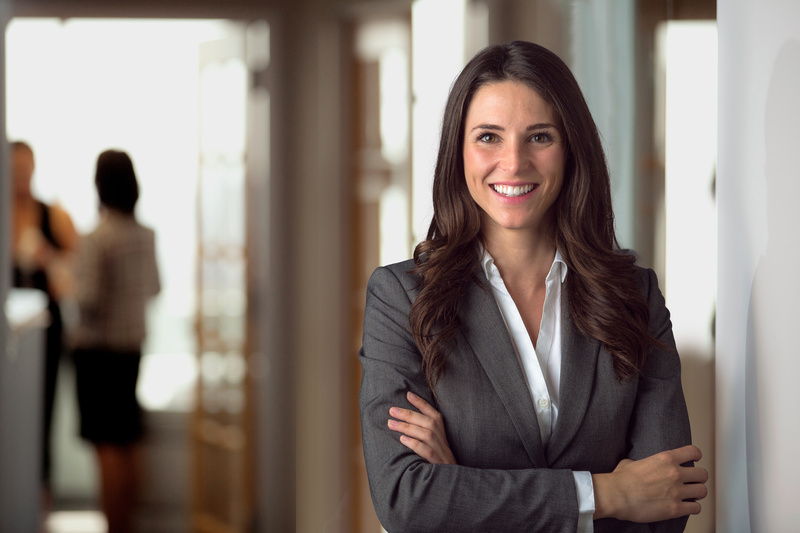 LS serves bankers, lawyers, businessmen, and others who can afford to shop anywhere but appreciate the excellent value-for-money, the personal service, and (above all) the tailoring expertise that LS represents. I work for a global financial institution, and the suits Mr. Izzy has built for me are routinely the envy of many of my peers, who get their tailoring in London, Rome, Madrid, etc. -- and who (needless to say) are paying multiples of what I pay for LS' superior goods, service, and style. Izzy is a mensch -- a gentleman and an honest broker, and employs some of the best custom tailors left in the U.S. I trust Izzy. If he cannot do something, he will tell you. If he counsels against something, I'd suggest you listen -- his words are based on long experience. In the rare case where something is not right, Izzy will make it right, no extra charge. I am at the point where he and I rarely discuss prices -- I know that Izzy is more than fair, and the standard discounts -- let alone his specials -- put his goods in a category by themselves. Recently, Izzy was able to copy a jacket I bought in Naples -- but build a suit using it as a model, with modifications I requested. I know of no other custom tailor in NYC who could do as good a job, using the best fabric and materials, for a price anywhere near as low -- while capturing the line and flavor of the Neapolitan design. (I will note that this is an unusual thing for LS, where most work is in the Hickey Freeman/Oxxford/amer icanized Savile Row model). As to Claudia's complaints, I can only say that she sounds like a bitter crank, and I'd suggest that if she gets her jollies writing negative reviews, she go pick on the many "custom shops" that sell shoddy, mass-made-disguised- as-quality goods at outrageous prices -- there are surely plenty of them around. There is no "schmeer" at LS -- nothing plush, not so much as a carpet on the floor -- just real custom work with the best goods at the fairest prices. It is not for everyone, but most of Izzy's loyal clients will be happy if it remains that way. show more Andrew L.